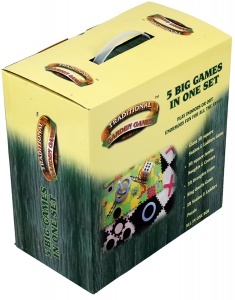 This garden games compendium from Traditional Garden Games includes five great games in one box great value box! 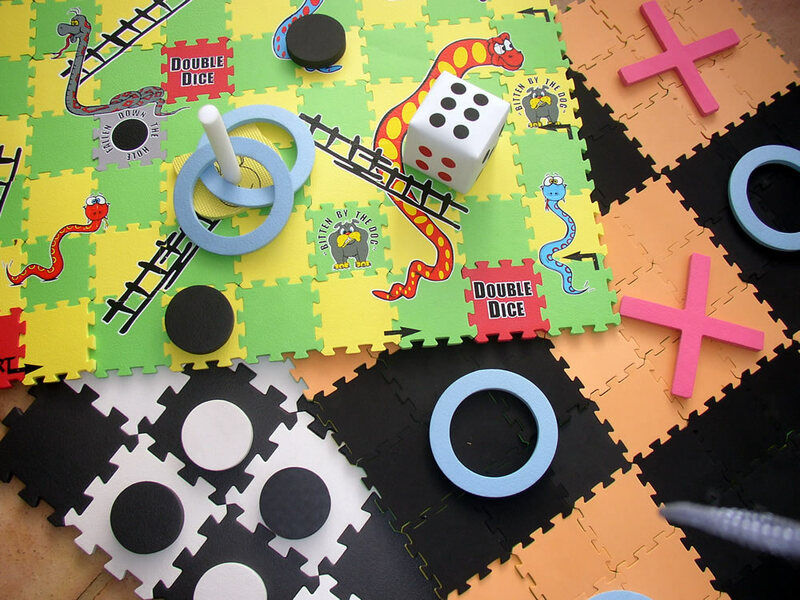 Suitable for indoor or outdoor use, these games will keep kids busy for hours. The game pieces fit together like a jigsaw to create Draughts, Noughts and Crosses, Snakes & Ladders, Ring Toss and a 90cm square jigsaw puzzle! 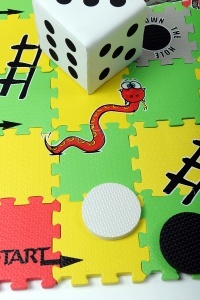 The set also includes instructions and a large dice. 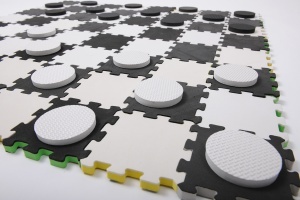 Made from colourful printed extra thick foam which is both durable and easy to wipe clean. Wholesale and bulk buy discounts may be available on this garden game set subject to your required quantity. Please call us to enquire.